Katana is a portable Multi-Boot Security Suite; which brings many of the best live operating systems and portable applications together onto a single flash drive. 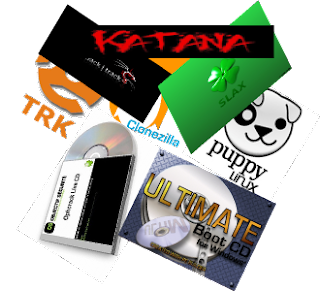 Katana includes live distros like Backtrack, the Ultimate Boot CD, UBCD4Win, Ophcrack, and Trinity Rescue Kit as well as hundreds of portable applications like Wireshark, Angry IP, The Sleuth Kit, ClamAV, and OllyDBG. You as a hacker or a pentester must have got bugged maintaining multiple flash drives and CDs to load any system as per the need. Katana allows you to boot into one of the many OSs that are available on a single Katana bootable drive. Katana takes about 6GB of disk space, so you need a flash drive w/ a capacity of about 8GB. Katana has been awarded an 'Excellent' rating at Security-Database Best IT Security Tools For 2009. Katana was developed by JP Dunning, currently a Graduate Student in Computer Science at Virginia Tech. Working as a researcher in the Virginia Tech IT Security lab. Research interests include the fields of wireless and portable security.